We can’t control everything that life does to us, but we can control how we react to what life does. How we start our day, determines how our day goes. If we wake up thinking it’s going to be an awful day, guess what, it will be! Never underestimate the power of positive thinking!! Our thoughts really do affect how we react to life. Energy follows thoughts! Also known as manifestation. How many times have you been thinking of someone you haven’t seen in a long time, and you soon run into them, or they call. It’s so important to see the glass half full, instead of half empty. To see the silver lining in the cloud. Our thought processing center can’t be in two places at once, so when you start thinking negatively, literally tell yourself to stop, and make yourself think of something positive. If you have to, say something positive over and over again (affirmations), even if you do not believe what you’re saying, your words get taken in by your subconscious mind, and the subconscious controls many aspects of our lives. We have an energy frequency, which is measured in megaHertz. The more positive we are, the higher our frequency , and we attract the same. For example you can not tune your radio to 96.9, and expect to hear 103.9. Thus we can only attract positive, if we are being positive! There are numerous, inspirational/motivational books, and web sites, ( http://www.LouiseHay.com, simpletruths.com), which have positive quotes and affirmations. I suggest starting your day off with these, to help you have the best day possible. It may not be easy at first, but all things become easier with practice. Remember, if you become inspired, you will inspire others, and they will… it’s a domino effect! Ever watch the movie” Pay It Forward”? I highly recommend it!Also Louise Hay’s book ” You Can Heal Your Life”. “In the affinity of life where I am, all is perfect, whole ,and complete. My life is ever new. Each moment of my life is new and fresh and vital. I use my affirmative thinking to create exactly what I want. This is a new day. I am a new me. I think differently. I speak differently. I act differently. My new world is a reflection of my new thinking. It is a joy and a delight to plant new seeds, for I know these new seeds will become my new experiences. Categories: Articles and Posts | Tags: alternative health, alternative medicine, energy, holistic, law of attraction, natural health, natural therapy, positive, spirit, the secret, wellness | Permalink. Reiki is a Japanese form of stress reduction and relaxation that also promotes healing. It is based on the Asian concept of life energy and is done by “laying on hands”. A subtle energy flows from the hands of the practitioner into the client, and it’s this energy that creates the relaxation and healing effect. It often feels like a warming sensation on the area being worked on. The Ki within the physical body, mind, and emotions are affected by our thoughts and feelings. If we have positive ones, our Ki will be strengthened, and we will be more confident, have more energy, enthusiasm, and be more likely to succeed at what we do. The scientific theory of Reiki shows that some of the healing aspects of it have been demonstrated to exist using known laws of physics and biology. An important part of functioning of the human body is it’s electrical nature. You have electrical currents flowing through the nerves, blood, all organs and cells. These currents are weak compared with the electrical current flowing through the wiring in your home, but they are exactly the right strength for the human body, and are a necessary part of sustaining life. All illness starts first in the human energy field before manifesting in the physical body. The human energy field is a matrix of subtle energy fields that surround and penetrate the physical body. These fields contain the blueprints for the physical body and tell the organs, tissues, and cells what to do, and how to function. The energy fields also contain blueprints for our emotions, thoughts, and higher levels of consciousness. Ki (subtle energy) is affected by the mind, causing it to support our health, or to move us toward toward dysfunction, illness, and disease. During a Reiki session, this energy (Ki) flows into the client’s energy field and around the organs and tissues, helping to remove “bad” Ki. The natural flow of “good” Ki is restored along with the person’s health. Reiki provides a higher level of nurturing to the body’s organs and tissues. It also works on the mind, emotions, and spirit. This makes us feel better than before. A session feels good and relaxing. It helps develop wonderful feelings of joy, peace, love, and confidence. When we feel good or peaceful on the “inside” it helps decrease our physical pain. Reiki also works well when applied to an injured area, or any area affected by pain, whether it is from arthritis, or just soreness from tense muscles caused by stress. Reiki helps decrease anxiety, and can help lift us when feeling depressed. To learn more contact Tammy Taylor@ “A Caring Light” (215-0117 or 961-9905). During August receive 10 % off a Reiki session. Categories: Articles and Posts | Tags: alternative health, alternative medicine, energy, healing, holistic, natural health, natural medicine, naturopath, reduce stress, reiki, relaxation, wellness | Permalink. There is a complementary health treatment called metamorphosis. It helps mentally, emotionally, phsically and spiritually. It involves energy work. We have energy circulating in and around our bodies. I compare this energy to the wind. We can’t physically see it, but we can feel it, and see it’s effect. For example, the wind makes tree branches move, kites fly, blows strewn garbage. Metamorphosis originated back in the 1960’s from Robert St.John, a British naturopath and reflexologist. Energy underlies all forms of life. Our energy can become blocked, and get “stuck” in paticular patterns. Every cell that makes up our body and mind holds memories of our experinces, not only from childhood, but even from our time in our mother’s womb. What our mother experinced during our gestation deeply affects us. When an experince affects us strongly, the thoughts, emotions, and beliefs connected to that memory can set up energy patterns in which we become “stuck”. In a sense they keep us stuck in the past. These energy patterns can express themselves in a variety of ways, such as physical or mental illness, emotitional problems, limiting attitudes and beliefs, or repeating patterns of behaviour. Ever wonder why we keep doing the same things over and over again, even though we keep getting the same negative result or response from this behaviour. Metamorphosis sees all mental, emotional, physical and behavioural problems as symptoms or expressions of energy patterns, which may have developed while in mother’s womb, or from early childhood experinces. We need help to get “unstuck” from these repetitive, negative patterns. the metamorphic practitioner acts as a catalyst (something that speeds up a process of change) to a person’s energy, thus helping bring about whatever changes of energy patterns that are needed. This enables the person to naturally shift those behavioural patterns that no longer serve them. The energy that was “stuck” is released, freeing them up from past influences, and allowing them to let go, and move forward. So many of us hang on, as we don’t like change, even though these changes usually are beneficial. The sessions are non diagnostic. The practitioner is just a facilitator, helping the client’s energy to move along, to “let go” , so metamorphosis is really about self healing. It creates greater consciousness within, has the goal of bringing the client into the “present moment”. Many of us are either thinking about the past (“wish I had of or hadn’t done this or that”), OR we are thinking about the future( “I’m going to do this or that”), instead of enjoying the present moment. This causes unnecessary stress. Our muscular system reflects the degree of underlying mental tension, and this tension leads to muscular aches and pain. Often people cannot relax or stay relaxed for any length of time, because the tension is mental rather than muscular. People with alot of underlying mental/emotional stress usually find a Metamorphic massage to be surprisingly relaxing, and may drift into a light sleep. Great appreciation is given to Anne-Marie Arsenault, Metamorphosis course instructor, who lovingly taught much of this information and the technique. Categories: Articles and Posts | Tags: alternative medicine, emotions, energy, health, holistic, massage, metamorphic, natural, natural health, natural medicine, naturopath, wellness | Permalink. It has been estimated that 70%-80% of all disorders re stress related. Imagine the health benefits if we knew how to relieve the stress in our lives. Foot reflexology is an excellent alternative health treatment that can do this. It is the practice of stimulating specific areas on the feet to elicit the body’s self-healing. All parts, glands, and organs of the body are represented as reflexes on the “anatomical body-map” on the feet. Every body part responds to a session, as there are 7000 nerve endings in the feet, all capable of relaying electrical messages to the appropriate body part/organ. ¼ of all your bones are in your feet. 2000 pores in bottom soles of feet. Reflexology treats the cause, not the symptom. It is possible that unexpressed emotions stored in the body’s tissue could be the root of the problem. For example, if there is a lot of sadness the lungs’ reflexes should have extra attention, for anger, the liver’s reflexes are important. Reflexology induces deep relaxation, blood vessels dilate, thereby increasing circulation and delivery of oxygen and nutrients. It also aids in the removal of toxins. A session helps muscles relax, frees nerves along the spine and relieves pain. The body can only process a certain amount of sensory input at one time. With reflexology, the client’s focus shifts to the pleasing sensation of the foot massage and pays less attention to the pain. The body closes the “gate” to pain input and has temporarily stopped processing it. Pain releases much easier when the body is relaxed. In addition reflexology stimulates the pituitary gland that releases endorphins, the body’s natural painkillers. Therapeutic grade (medicinal) essential oils can be used with reflexology for added benefits. For example, peppermint is used for an inflammatory condition, or lavender for stress. Categories: Articles and Posts | Tags: "reflexology, 'essential oils', alternative medicine, health, holistic, massage, natural health, natural medicine, natural therapy, nerves, wellness | Permalink. Why essential oils are healing oils! In order for anything to be healing to our bodies, it must be able to get into our cells. 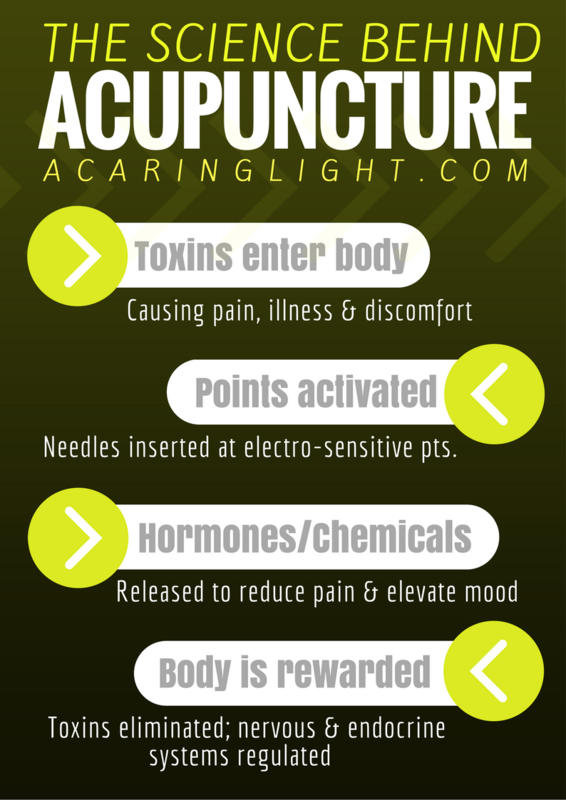 This is the reason why essential oils (therapeutic grade) provide awesome healing. Their molecules are tiny enough to penetrate our cell walls. They enter our bloodstream and are capable of passing through the blood-brain barrier. Essential Oils act like chemical messengers, and communicate with our cells even at the DNA level. These oils evaporate easily, because of their small molecular size, making themselves available to be inhaled and share their aromas. When you breathe oil molecules into the back passages of your nose, they go straight to the central part of your brain called the limbic system or emotional center, which manages all of your emotional experiences. This part of the brain only responds to smell. This is why certain feelings and memories are aroused when you smell a particular aroma. For example, the smell of an apple pie may take you back to your grandma’s as a little child or the scent of someone’s perfume may remind you of someone. Another aroma may unlock a memory you had buried deep, as a traumatic event, which you couldn’t deal with at that time. Essential oils act differently than many medicines today. They usually don’t cause side effects. You know how you might take something for arthritis, and it helps with the pain, abut it may cause stomach problems, so you have to take another medicine now for your stomach problem. It’s a vicious circle! With the oils it’s usually the opposite. For example you may be using peppermint oil for your sinuses, and it may also give you extra energy, and help you to be more alert. These oils can provide healing on all levels: physical, emotional and spiritual. They are natural and were man’s first medicine. Did you know that tow of the gifts the three wise men took to Jesus at his birth were the essential oils of frankincense and myrrh? Frankincense was more precious than gold in those times, and it was used only for royalty. Myrrh is an antibacterial and excellent for healing wounds. It is believed that myrrh was used on umbilical cords, and may have helped Mary, Jesus’ mother heal from childbirth. Want to learn more about these amazing oils, and their healing properties or attend a free workshop call Tammy Norris-Taylor of “A Caring Light”, an alternative health clinic @ 215-0117. Categories: Articles and Posts | Tags: 'essential oils', aromatherapy, healing, health, holistic, natural, natural health, natural therapy, naturopath, wellness, young living | Permalink.